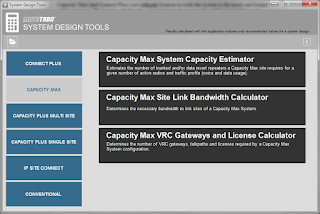 Home / Capacity Max / Connect Plus / System Design Tool / What is a talkpath? Is a dispatch application is used? Is SIP used, if so, how many users would need to make and receive phone calls? How many users are on the system? What is the maximum number of simultaneous tallkgroup calls that would need to include the dispatcher? Are private calls used and if so, how many of them would be made to dispatchers? Is WAVE used? If so what is the size of the user base and traffic profile like there? What is the traffic profile like on the radio system? A talkpath can be seen as a trunk between a radio (or radio talkgroup) and an external voice application. In other words, a talkpath is a dynamically shared connection between a voice on the radio system and an external device. Or, you could even say that one talkpath is used for a call where one endpoint is in the radio system and the other endpoint is on something outside the system. Once the call has ended, that talkpath is free to be used for other calls. Therefore the number of talkpaths must not be seen as the maximum number of calls the system can process, or somehow linked to this misconception. The MOTOTRBO System Design Tools is an excellent tool for sizing a Capacity Max system. It also helps determine what equipment and licences are needed. This tool is available to Channel Partners on Motorola Online. Hi Wayne! Thank you for sharing the principles how to identify the required number of talkpaths in voice gateway. This is a kind of set of the questions we ask customers as well to help them. Unfortunately, such factor as the proper number of talkpaths to be available on voice gateway, is quite critical for proper operation of voice consoles and phone gateways in radio system. However, based on my knowledge, the principle "Once the call has ended, that talkpath is free to be used for other calls." is valid only for Capacity Max system. In Connect Plus the talkpath should be always active to monitor the calls. Once application register talkpath in Connect Plus, it will be taken out of the pool of available talkpath. That's why usually Capacity Max requires less talkpaths to be licensed on the voice gateway to support the same call profile as in Connect Plus. Thanks for pointing that out. Very useful and 100% valid. I'll edit the post to make sure folk read your comment. so what is exactly the role of the VRC ? It's not practical for 3rd party applications to know where a voice call originates. The VRC solves this and therefore can be seen as an end-point for voice packets on the radio network and (at the same time) as a source for voice packets going to the application. So rather than the application working out whether it should process a stream, the VRC presents voice and control packets in a defined API. In other words a gateway.